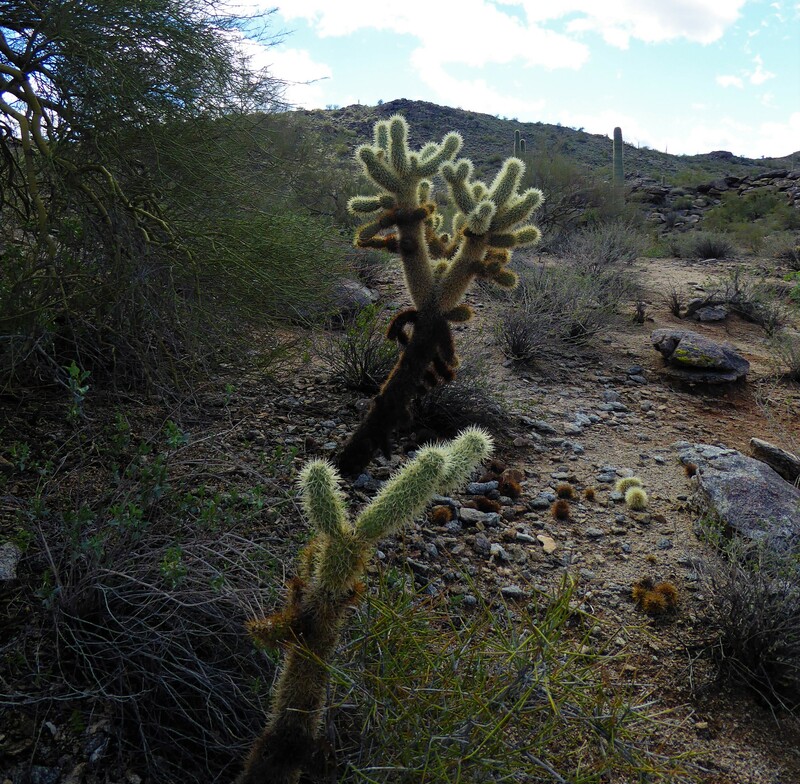 In Phoenix, the desert landscape can seem deceiving. 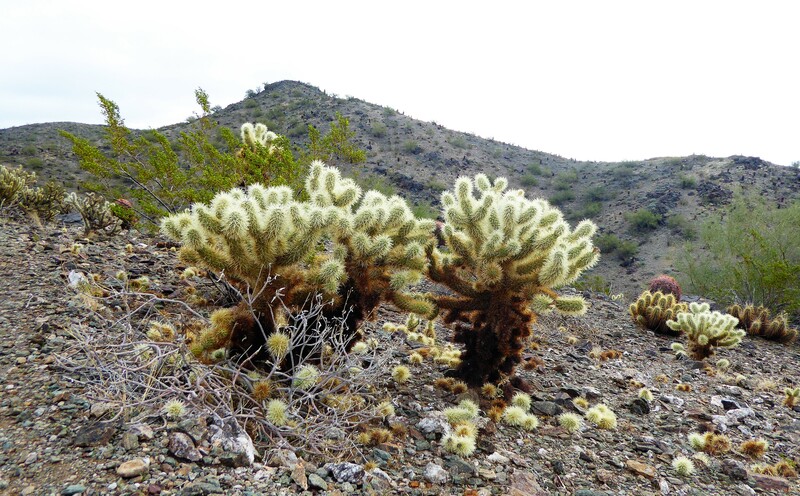 Teddy Bear Cholla cactuses are 3 to 4 foot tall and look soft and fluffy, (especially when the light shines on them just right). It looks like you can just brush your hand over them like petting a family pet. But trust me, out of all the cactus’s out there, this is not the one to mess around with! Once you touch it or even lightly brush against it, the numerous needles attaches itself and can’t be easily plucked out. This is also how the plant reproduces. These pods disperse into other areas by breaking off at any type of pressure that hits it and always it to reproduce itself. 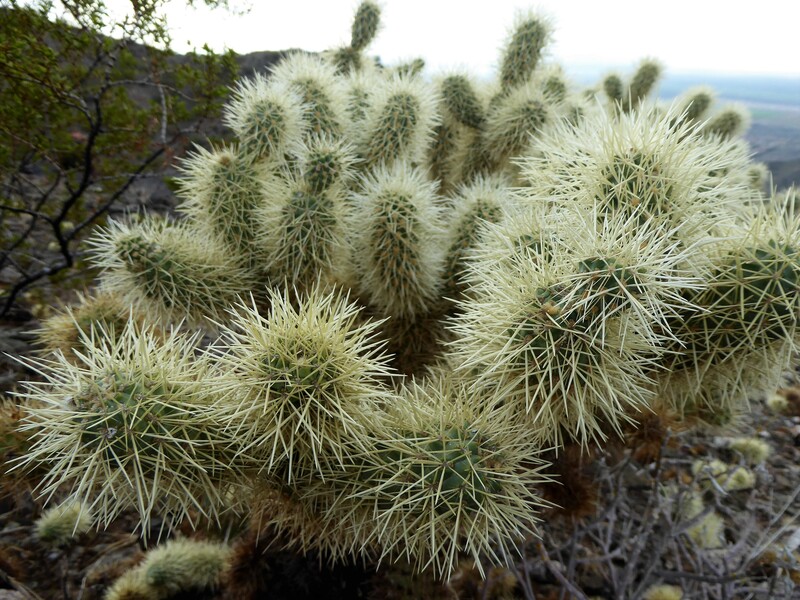 One teddy bear cholla needle is connected to a pod of other needles. So when you get hit with one needle the whole circular pod will come off the main stem and go for a ride on you. Seeing as how this pod is circular it will roll around your skin when you try to swipe it off. The needles also have tiny scales on the end that when stuck into the skin, makes it difficult to pull it out. It tends to act like a barb wire needle in your skin. So be wary of these while out on the hiking trails in Phoenix. It’s not uncommon to see a one of these pods laying right in the middle of the trail, awaiting a hiker to step upon it.